Who knew pretending to be a goat could be so much fun? Yeah, I just said that. In the past 5 years or so it seems there has been a gaming revolution of sorts in which Indie game developers have been producing tons of crazy awesome games. 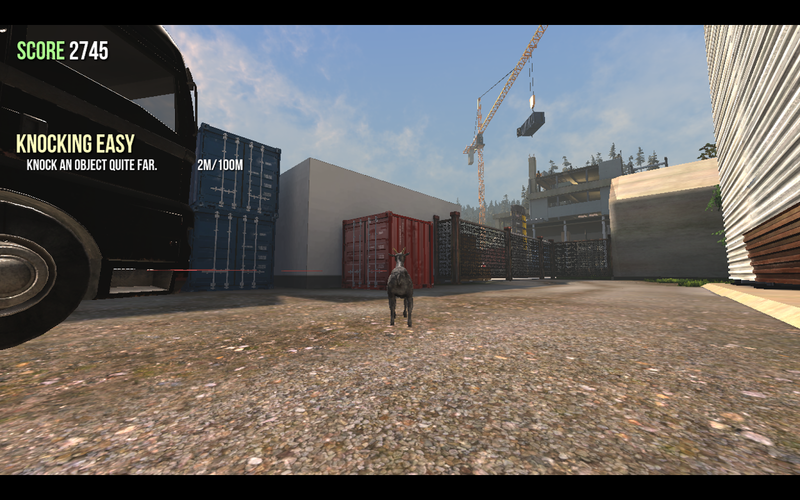 Goat Simulator is one of those games. Apparently this game was developed in less than 3 weeks but it packs a punch. You are a goat on a rampage through the city and the surrounding wilderness. You can rampage with your goat friends or you can rampage alone. Here's my goat at the beginning of a round jumping on a trampoline. Here I am trying to carry a semi with my tongue and failing lol. IMO this game is best when played with another person so you can both find joy in the extreme silliness. If your competitive like me you may enjoy racking up points as you flip, crash into things and walk up walls. Interacting with the random environment is interesting and challenging. There are some familiar characters that pop up in certain areas which are a nice surprise. It's kind of cathartic to knock over things in people's houses and make big messes that you never have to clean up. In general the bigger mess you make and the crazier stunts you pull, the more points you earn. Goat Simulator is a bit glitch-y but if your goat gets stuck in a weird place you can normally wiggle your way out of it by button smashing while the view goes bonkers. If that doesn't work you can always reset your game. If you do that you'll lose your points but its no big deal really due to the nature of the game. There is no blood in this game which I appreciate. It is kind of unsettling that people automatically flop when you hit them or run into them. I would feel better if they had a timer on them and they got back up after so many seconds instead of just lying there. There is also one place in which there is a demonic symbol burning in the ground that summons goats or something. I stay away from that area. You use your tongue like a frog to catch items and ride items like cars and bicycles. "Y" button = Seems to help you flip, but not really sure what this button is for :P.
Your body becomes floppy, wobbly and uncontrollable. This game won't work well if you have a slow graphics card. IT works on our MacBook but it is way too slow on our PC which we need to upgrade. The System Requirements Lab's website has more information. I want to play! Where can I find this game? 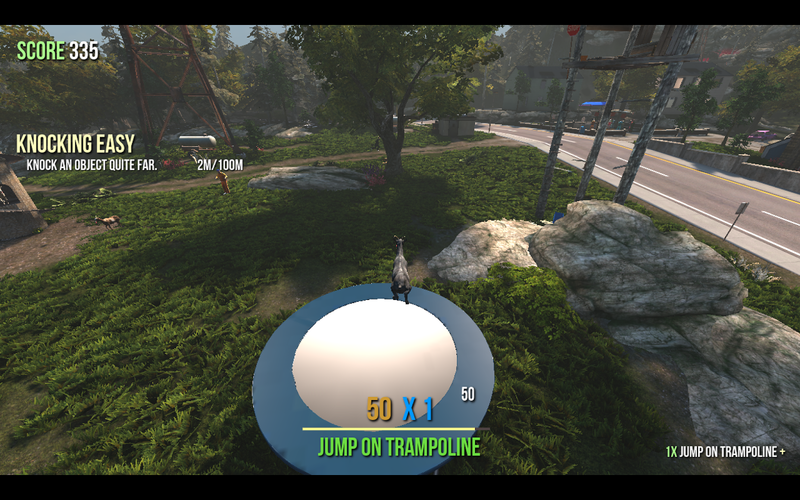 You can purchase a Steam Key through the Goat Simulator website for only $9.99. They also sell merchandise like T shirts and mugs. I bought it during a Steam Sale for $5.99. Played any good games lately? ***Disclaimer: I am an Amazon affiliate and I earn a small percentage if you happen to buy any items from my Amazon links. I only endorse products that I have tried and love. The Xbox 360 Controller for Windows are our second pair of controllers. Our first pair were wireless but they didn't last long and they cost more. If you can tolerate the wires I definitely think these are a better choice. We also use this AmazonBasics USB Extension Cable so that the cables reach from our setup to the couch. You can also use keyboard controls if you like instead.